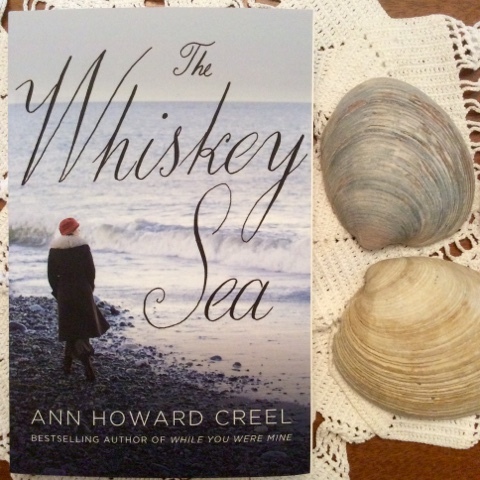 TLC Book Tours: The Whiskey Sea by Ann Howard Creel REVIEW + GIVEAWAY! Motherless and destitute, Frieda Hope grows up during Prohibition determined to make a better life for herself and her sister, Bea. The girls are taken in by a kindly fisherman named Silver, and Frieda begins to feel at home whenever she is on the water. When Silver sells his fishing boat to WWI veteran Sam Hicks, thinking Sam would be a fine husband for Frieda, she’s outraged. But Frieda manages to talk Sam into teaching her to repair boat engines instead, so she has a trade of her own and won’t have to marry. Frieda quickly discovers that a mechanic’s wages won’t support Bea and Silver, so she joins a team of rumrunners, speeding into dangerous waters to transport illegal liquor. Frieda becomes swept up in the lucrative, risky work—and swept off her feet by a handsome Ivy Leaguer who’s in it just for fun. As danger mounts and her own feelings threaten to drown her, can Frieda find her way back to solid ground—and to a love that will sustain her? 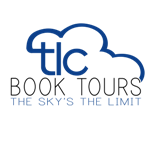 Read what others are saying about the book on the TLC Book Tour website. I've never read a book by Ann Howard Creel, but The Magic of Ordinary Days, the movie based on her book of the same title, is my all time favorite Hallmark movie. I don't want to get too "spoilery" here, but this book, in the sense of relationship dynamics, plays out a lot like TMoOD. The setting was completely different and the time period predates WWII, but it was a pretty good story. I loved that it involved the sea, boats, and Prohibition. That said, Creel isn't one for eewy, gooey romance at all, but rather the struggles and heartbreak that one faces on the path to love. I'm one of those readers who loves a little over-the-top romance, but this book doesn't have that, and I still loved it. It's really just an underlying theme in a book where the main topics are letting go of bitterness and embracing a steadfast love. I actually liked this a lot more than I thought I would after having read a few spoilers online. If you have enjoyed her books in the past, I'd say you'll probably like this too or if you are new to Creel's books, give this a try! 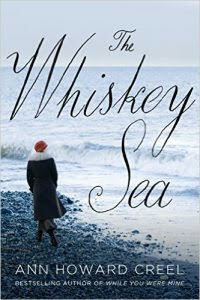 Thanks to TLC Book Tours, I have one copy of The Whiskey Sea to give away to one of my lucky readers in the US or Canada! To enter, just fill out the Rafflecopter form below. If you have any questions or comments, please feel free to email me. The form may take a few minutes to load. Thank you for your patience. Okay. So you wouldn't happen to work with Sandra Byrd, would you? Because I feel like I've received an email from you. But I could TOTALLY be wrong. Anyway, favorite romantic movie? How about more than one? I love Ever After, Bride Wars (kind of about friends but still), 10 Things I Hate About You, When Harry Met Sally, Amelie, The Proposal, 27 Dresses...I fear you'll have watched all of these! Ha ha! I do work with her and I know I've sent you an email. I think we are both SWPA girls as well, right? Nice to "meet" outside of email! Hmmm. What's a SWPA girl? I'm not sure I am one if I don't know what that means! If it means a HUGE fan of Sandra, than yes. Absolutely. Haha! Sorry for the confusion! If I recall Sandra said you were from the southwestern Pennsylvania (SWPA) area? I am too. Renee, thank you for hosting this giveaway. I will add it to my blog's sidebar. I'm glad you enjoyed this book. As far as romantic movies go, how about The Notebook? Thank you so much for sharing!! Yessss! I have seen the Notebook. the ending is terrific. I cry every time.